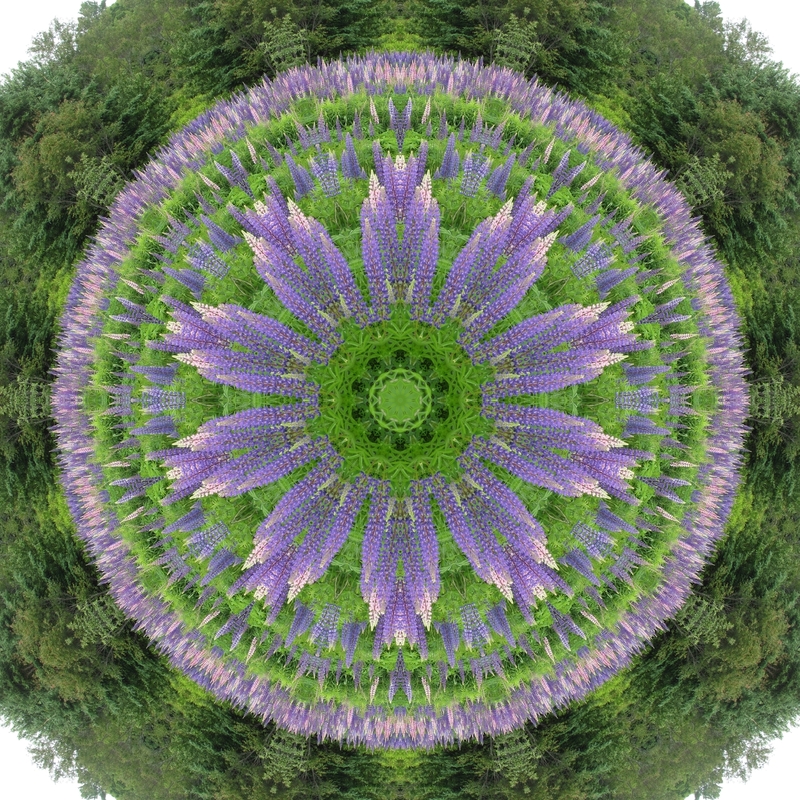 Fab Fabrications--Kaleidoscopes from Nature Images Emphasizing Geometry In Nature and Symmetry: "Exploding Lupines"
Week Twenty Six.....What and Where is this? To celebrate my first half year of blogging, I took pictures of a spectacular display of lupines at my parents which I call "exploding lupines". Original Photo below. The lupine field is about 1/2 acre of three different colors of lupines!